Add yourself to our professional's database to promote your personal training business online. Membership is free to experienced personal trainers. Enrol on the personal trainer course to brush up your skills. 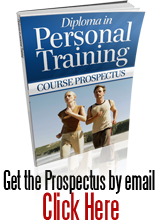 Apply to become a tutor on the personal trainer course.